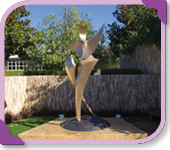 “Dancer” is a bronze sculpture created by Lyle London of Tempe, Arizona. 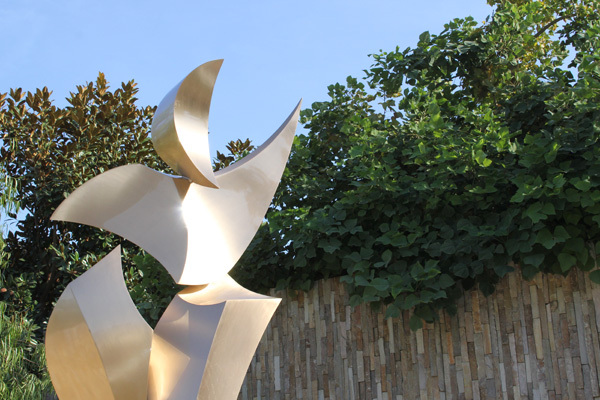 It is a hand-fabricated bronze art piece that stands approximately 10 feet high and is 5 feet in width. It is composed of a highly polished metal created in a sophisticated, stylized contemporary form and is one in a limited edition of five. 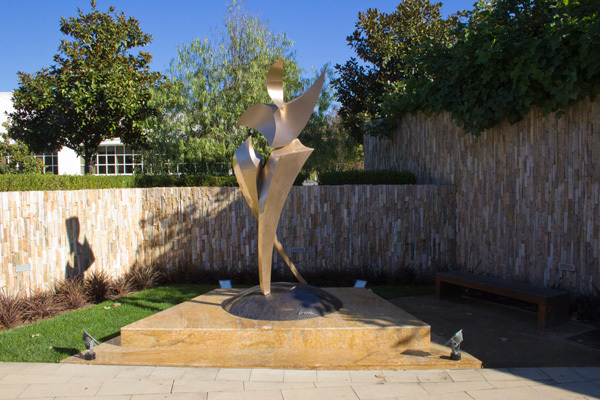 “Dancer” has been installed in a quiet, reflective setting in the Cerritos Sculpture Garden. The statue was formerly known as “Ocean Dancer” and was originally installed in 1998 to enhance a commercial center located on the northeast corner of Artesia Boulevard and Bloomfield Avenue. When redevelopment began at the site to change it into a luxury multi-family residential complex, the current owner, The Picerne Group, decided that it would replace “Dancer” with a newly commissioned art piece to reflect the architecture and environment of the new development. 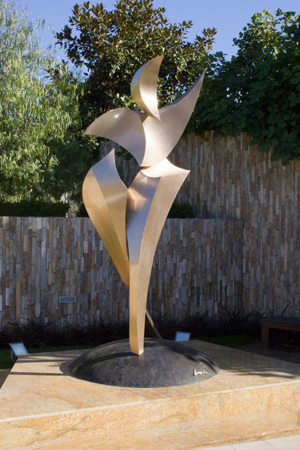 The Picerne Group generously donated “Dancer” to the City of Cerritos Municipal Art Collection for all to enjoy.